Products: Thermowood floor parts, Bamboo floor parts, different types of pavement, Bamboo closet, corten steel closet, corten steel planters, wire steel pergola, creepers, Thermowood sofa, sandbox and roof vegetation. 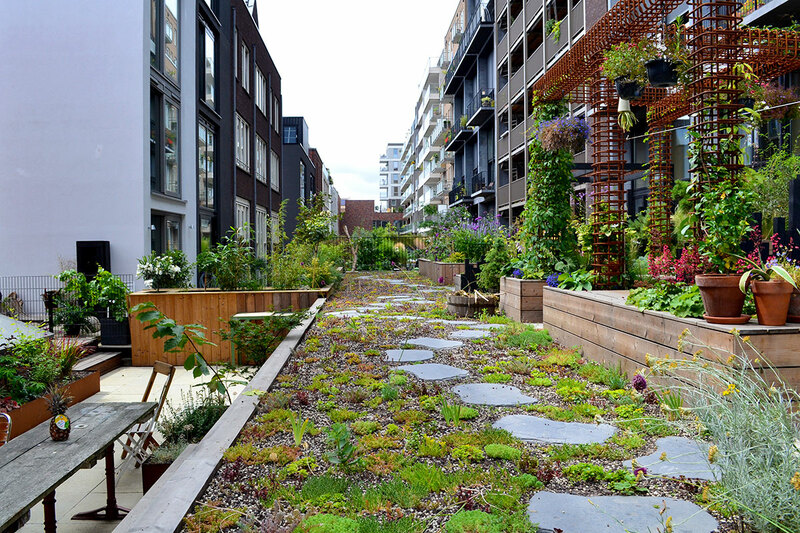 Transform eight private rooftops into eight roof gardens with a common green area. 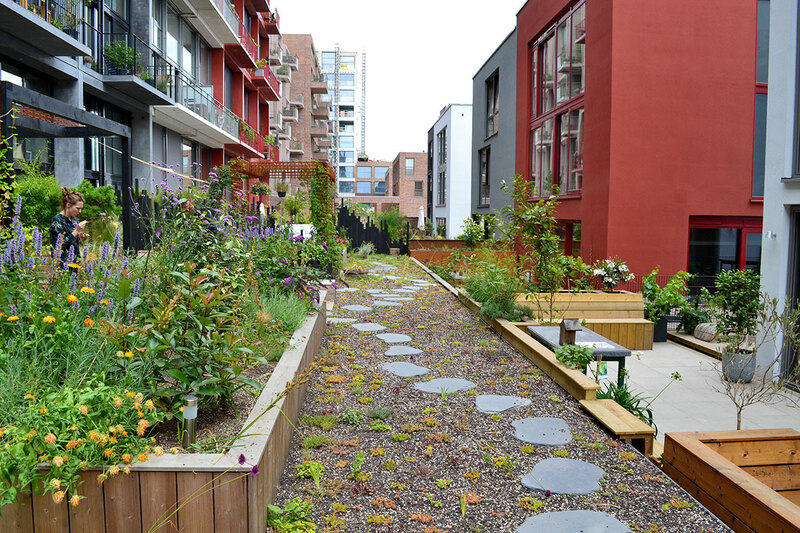 The rooftops are already constructively prepared for a roof garden but it will be a challenge execution wise. 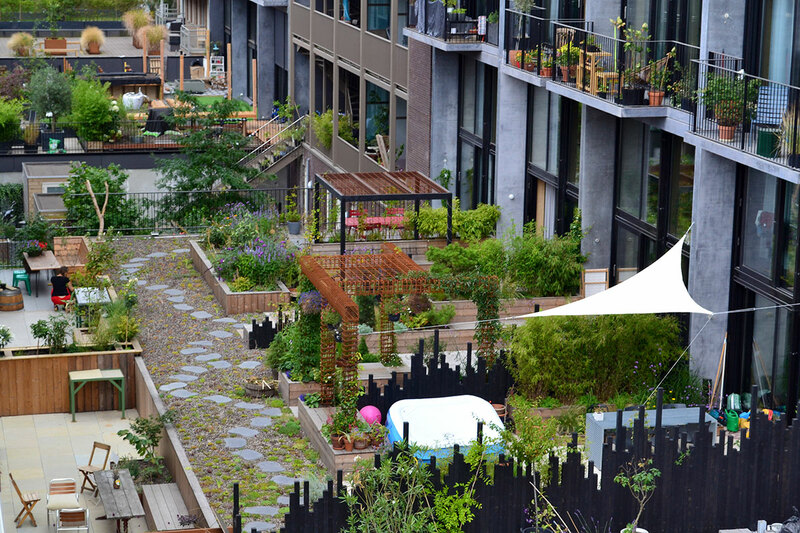 The black rooftops that were there made way for eight private roof gardens. The residents got an extension to their homes where they, as they said themselves, love to hang out on summer days. 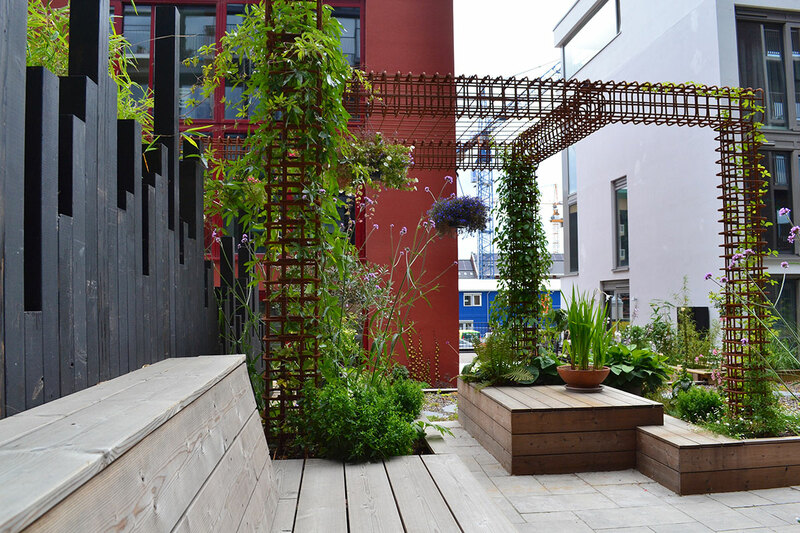 The common green area, which connects the most of the private gardens to each other, ensures a great accessibility for the kids and adults to visit each other. 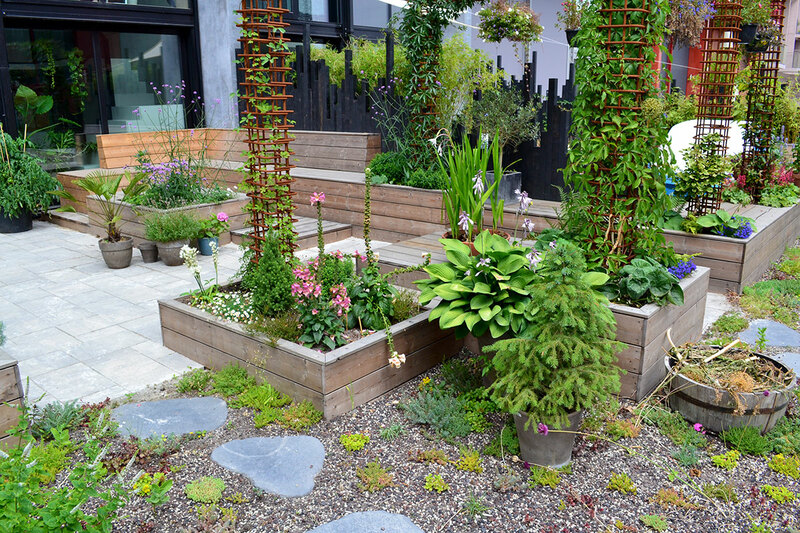 By combining high vegetation, pavement and wooden furnishing elements it became real gardens where you’d almost forget you’re on a rooftop.